One of the structures in the Al-Aqsa Mosque in Jerusalem has caught fire on Monday night at the same time a massive blaze was ravaging Paris' Notre Dame Cathedral. A fire broke out in the Al-Aqsa mosque in Jerusalem, the third-holiest site in Islam on Monday, RT reported. The blaze at Al-Aqsa Mosque broke out in the Marwani Prayer Room, but Palestinian authorities say the blaze was contained and they are now assessing the damage. Meanwhile in Paris, the devastating blaze claimed the steeple of the nearly 900-year-old Notre Dame cathedral, as well as much of the roof. Al Marwani prayer room is located underneath the southeastern corner of Haram Al-Sharif, which contains both the Dome of the Rock and Al Aqsa Mosque. The outlet added: "The Presidency confirmed its solidarity and sympathy with our friends in France over this incident". 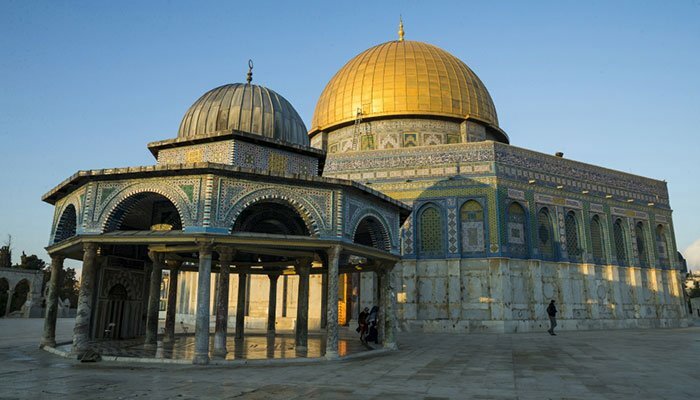 Shaikh Azzam Al-Khatib, director general of the Jerusalem Waqf and Al Aqsa Mosque Affairs Department, told Jordan's Al Mamlaka TV that the fire broke out in the courtyard and investigations are underway. The mosque compound is located in the Old City section of East Jerusalem, which Israel seized from Jordan in 1967. However, post the creation of Israel, it annexed a majority part of the Jerusalem, including Al-Aqsa Mosque, which was frowned upon by the worldwide community. In 2017, United States President Donald Trump formally recognised Jerusalem as the capital of Israel, calling it "a long overdue step to advance the peace process". Officials consider the Notre Dame fire an accident, possibly as a result of restoration work taking place at the global architectural treasure. Weld's nomination by President Bill Clinton to be US ambassador to Mexico touched off a bitter public spat with then-Sen. Mr Trump's campaign said on Sunday it had raised more than $30m in the first quarter of this year.